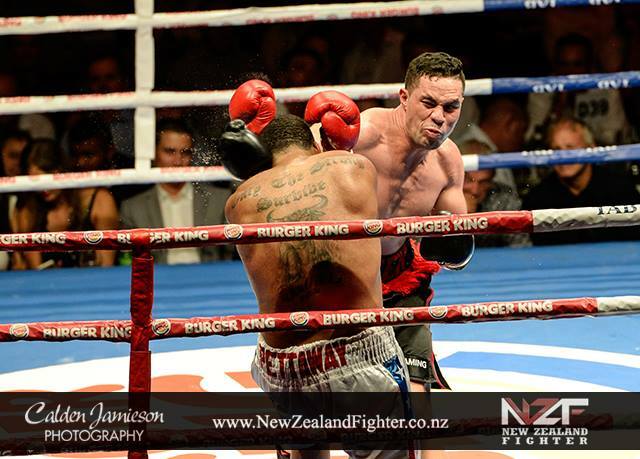 Heavyweight Joseph Parker (13-0, 11 KOs) powered through in an indifferent display to overwhelm Jason “The Technician” Pettaway (17-2, 10 KOs) for a fourth round technical knockout during the The BURGER KING® Road to the Title at the Vodafone Events Centre. 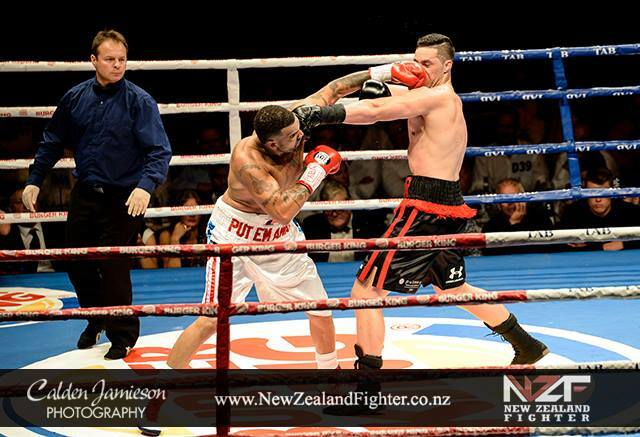 The South Auckland prospect and former amateur standout delivered on his promise to let his hands go early against the awkward Pettaway, who became much more defensively minded after tasting some early punches and was forced to capitulate in the fourth stanza. Throughout the bout Parker’s venomous punches battered Pettaway although both Parker and trainer Kevin Barry admitting to not displaying the same poise that Parker had shown in his last couple of bouts. Parker appeared to hurt Pettaway with a hook to the body during the 3rd round, following this up by clubbing Pettaway against the ropes for a knockdown near the end of the round. A right hand from a hard combination, punctuated by an uppercut to a kneeling Pettaway, saw the 34 year old barbershop owner unable to beat the referee’s count 48 seconds into the fourth round. With four more fights scheduled for this calendar year, the time for Parker to increase his level of competition is now, particularly if he would like to make good on his promise of a top 5 ranking by the end of the year. Parker is set to join heavyweight king Wladimir Klitschko’s training camp as a sparring partner for Klitschko’s title defense against American challenger Bryant Jennings at Madison Square Garden next month. 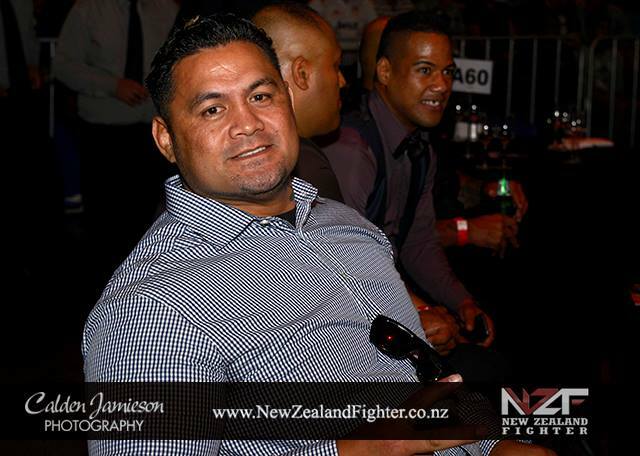 Heavyweight David “Brown Buttabean” Latele (4-0, 4 KOs) stopped former Tongan World Cup captain and Super Rugby No.8 Finau Maka (0-1) in the opening stanza in the main undercard. The corporate heavyweight fight, scheduled for four two minutes rounds, was a wild affair while it lasted with Latele using his relative composure and advantages in experience. Follow up pressure from Latele saw Maka on the deck again and the bout was waived off after he failed to raise his gloves on referee’s instruction. 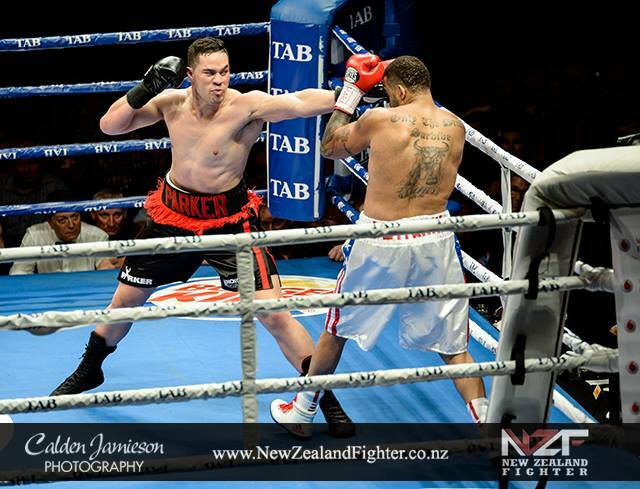 Former Commonwealth Games competitor and Hutt Valley prospect Joe Blackbourn (7-0-1, 7 KOs) certainly got more than he bargained for against Adelaide-based Nigerian Chukwudi “Friday” Nwaiwu (3-5-1) managing to scrape by with a six round technical draw in an awkward fight. The heavy punching Blackbourn landed the harder shots early however Nwaiwu’s movement and speed didn’t allow many opportunities for Blackbourn to set his feet. Blackbourn pressed throughout but at times was relegated to landing single shots while Nwaiwu moved and fired short quick punches in combination. Judges scored the bout 59-55, 55-59 and 57-57. Four time national Amateur champion Bowyn Morgan (2-0, 1 KO) showed impressive skill in dissecting Ivana Seau (1-2, 1 KO) and gaining a wide unanimous decision in a six round middleweight tilt. Seau was unable to keep off the continually advancing Morgan early, and seemed outgunned during the early exchanges. Morgan showed nous in creating openings to land uppercuts and right hands but could not seriously dent the game Seau, who is only 19. Seau was mauled over the final two rounds including a hard charge by Morgan during the 6th but was able to survive to the final bell. Heavyweight Izuagbe Ugonoh(11-0, 9 KOs) also had a successful evening in dispatching former New Zealand Muay Thai Champion Thomas Peato (2-3, 0 KOs) in two rounds in the opening bout. A sparring partner to Joseph Parker, Ugonoh utilised the skill in his lead hand well and controlled the distance during the opening stanza which saw Peato, forced to throw wide shots from out of range, land an overhand near the end of the round. Peato seemingly was having more success getting inside and countering during the second and final round before Ugonoh once again was able to get Peato on the end of his punches. A short hook to the body rendered Peato unable to beat the referee’s count.